Ampronix provides imaging solutions to meet your needs offering LCD Displays, CRT Monitors, Dry Film Imagers, Recorders, Printers and Media. 19 inch color video monitor for medical use 600 lines of horizontal resolution componet inputs 2 channels RGB or Y/C Underscan, overscan and normal scan modes Splash-proof panels Designed specifically for use in medical applications, the Sony PVM-1953MD Monitor provides the exceptional clarity and color fidelity required for endoscopy, ultrasound, surgical and laboratory microscopy. This medical monitor is UL 2601-1 classified, and offers a HR (High Resolution) Trinitron picture tube, in addition to compatibility with NTSC and PAL color systems. The design, incorporating knob controls, splash guards and on-screen menus, provides flexibility and easier access to monitor setup. The 20” NEC MultiSync LCD2090UXi delivers cutting-edge technologies and design features to the desktops of even the most discerning professional users. This advanced display boasts nearly 30 new features that make this model one of the most intelligent, versatile LCDs to date. Interested? Contact us today! 20.1 inch AMLCD Medical LCD Display 1200 x 1600 2MP Grayscale Resolution 1000:1 Contrast Ratio 700 cd/m² Brightness DVI/VGA connectors For low-resolution referral imaging in a distributed PACS environment, the Planar Dome Q2 is a cost-effective 1200 x 1600 pixel grayscale flat panel that can display images in portrait or landscape mode. The Lumimaxx LM22105B grayscale flat panel displays boast “Any Signal, Any Input” and are a flexible, universal platform for viewing images from the widest range of signals and inputs available to the medical industry. With input configurations including: 3 BNC, DVI-A, DVI-D, Composite Video, S-Video, and even a 15 pin D sub. Lumimaxx LCD offers a range of compatibility from low frequency to high frequency – covering the wide range of modality signals used throughout the medical community. The signal range is the broadest of any single display line, allowing Lumimaxx to be a direct "plug and play" solution for almost every application currently in use. Lumimaxx LP1182I-DT 18 inch LCD Display Lumimaxx LP22103B 21.3 inch LCD Display Lumimaxx LM22105B 21.3 inch LCD Display Lumimaxx LM1182B 18.1 inch LCD Display Interested? Call today for a detailed pricing information, or email. Siemens 1163018X2078 21" Monochrome Interested? Call today for a detailed pricing information, or email. The Sony SVO-9500MD S-VHS recorder is specifically designed for medical applications. Its digital fram memory provides a noiseless, crystal clear "freeze" and is fully compatible with other S-VHS (or VHS) tape recordings. Its compact design and optional control via RS-232C or 34-pin interface provide convenient integration with ultrasound, endoscopy and pathology systems. Also available in SVO-9500MD2, SVO-9500MD2A, SVO-9500MD4,& SVO-9500MDP Interested? Call today for a detailed pricing information, or email. The Panasonic LQ-MD800 superb digital quality and seamless integration with computer networks make Panasonic recordable DVD ideal for medical and healthcare applications. The Panasonic LQ-MD800 complies to the medical electrical equipment standard with respect to electric shock, fire and mechanical hazards in accordance with IEC 60601-1, IEC 60601-1-2 (EN 60601-1, EN 60601-1-2). The Panasonic LQ-MD800 is also classified by Underwriters Laboratories Inc. as to medical electrical equipment with respect to electric shock, fire and mechanical hazards only in accordance with UL 2601-1, Control number 76KA. The Panasonic AG-MD830 is designed to meet increasing need for high quality video and audio recording/playback in the field of medicine. The Panasonic AG-MD830 is a S-VHS Hi-Fi Video Cassette Recorder. The Panasonic AG-MD830 complies with the UL 544 standard for medical equipment safety. An automatic calibration feature delivers consistent image quality. Manual access to full calibration functions via the front panel controls adds user flexibility. These innovative features, plus a combination of default-fixed and user-programmable gamma settings, provide precise, diagnostic image output. By combining a newly developed print head with Sony’s new blue thermal film (Sony UPT-517BL), the FilmStation Sony UPDF500 unit offers an elevated level of image quality that was virtually impossible to achieve on a thermal printer – until now. Sony UPT-517BL thermal film media was specifically designed for use with the FilmStation printer. This newly formulized 14”x17” film maintains a careful balance of transparency and density to reproduce precise and stable diagnostic images. And with edge-to-edge printing, the FilmStation imager maximizes the entire film surface for the most complete image coverage. The Sony UP-20MD color printer successfully combines high quality with affordable pricing. The Sony UP-20MD prints near A6 sized color images in approximately 16 seconds (using Sony UPC-21S media, in High Speed mode). The printer's new compact design allows for easy integration with other video equipment. The Sony UP-20MD is an ideal choice for the dental market, as well as, office or scientific lab applications. The Sony UP-21MD printer is the ideal choice for the endoscopy and ultrasound markets. This new Sony Color Video Printer is very compact and will help to free up space on medical carts. The Sony UP-21MD width at 8 3/8" allows it to be easily integrated, or rack mounted side-by-side with other equipment on medical carts. Although small in size, the Sony UP-21MD printer offers a wide variety of features. Using Sony's Dye Sublimation printing technology, the Sony UP-21MD produces near A6 size prints with approximately 400dpi in approximately 20 seconds, using the Sony UPC-21L media. The Sony UP-51MD is an A5 color video printer using size dye-sublimation technology. The Sony UP-51MD provides approximately 300 dpi (2048 dots) of resolution, 256 gradations for yellow, magenta, and cyan and over 16.7 million colors per dot. The printer features a very fast (20) second print time (Sony UPC-510 media/NTSC mode) and provides RGB, S-Video and Composite Video input and output. Unique to the Sony UP-51MD series printers is Sony's Hi-Eye-Q Quality Imaging System which carefully matches hardware with media products to ensure reliability and consistency. Mitsubishi HS-MD3000 S-VHS Medical Grade VCR w/34 PIN Interface. The Panasonic AG-MD835 is designed to meet increasing need for high quality video and audio recording/playback in the field of medicine. Advanced features like built-in TBC, DNR and 3-D Y/C Seperation circuitry help achieve the exceptional picture quality required for precise image analysis. The Panasonic AG-MD835 is classified by Underwriters Laboratories Inc. as to medical electrical equipment with respect to electric shock, fire and mechanical hazards only in accordance with UL 2601-1, Control number 76KA. The Mitsubishi CP-900UM is a high resolution, high speed medical/industrial color printer capable of printing detail images in just 10 seconds. The Mitsubishi CP-900UM uses a new straight paper path that simplifies the paper feed mechanism. The Mitsubishi CP-900UM can print 3 x 4" image picture at an extremely high speed - just 10 seconds - saving you time and money. The Sony UP-5650MDU Color Video Printer is remarkable for its ability to produce extremely high resolution prints at 300 dots per inch, and its very fast 30 second print time. With the optional SCSI interface, the Sony UP-5650MDU can produce high quality prints from digital sources. All this, combined with eight frames of memory standard, the Sony UP-5650MDU is ideal for image creation in such applications as ultrasound, endoscopy and radiological imaging, as well as for any other system that outputs video signals. The Sony UP-5500 A5 size analog color video printer provides photo-realistic prints in a fast 30 seconds. The printer has a resolution of 300dpi and comes standard with a RGB, S-video and composite interface. Other features include Picture-in-Picture function, remote control options, and multiple print modes. An optional SCSI interface with supporting Macintosh and PC Adobe Photoshop plug-in software is also available. Color video printer designed for Endoscopy Refurbished units available Olympus has discontinued production of the Olympus OEP color video printer. The Mitsubishi P-500W is a high resolution, large multi-format monochrome thermal printer, ideally suited for a wide variety of medical applications including ultrasound, x-ray, MRI and medical image analysis. It offers high speed printing (9.4 seconds) with a resolution up to 1278 x 1000 and 256 gray scale. The Mitsubishi P-500W can print multiple images on a single sheet, with seven different print size modes, including normal, large, small-normal, small-large, continuous/side-by-side, square and flexible. The Mitsubishi P-500W has dual power voltage, making it compatible for worldwide medical applications. Brightness, contrast, print size and gamma are easily controlled from the front panel. For added convenience, the printer has one touch memory/print and comes with a wired remote control. With selectable underscan/overscan settings, the Mitsubishi P-500W printer can work with any ultrasound system. It automatically switches to either composite NTSC or PAL format. Sony UP-D895 the Medical Industry's first Digital Monochrome A6 Medical Grade Printer with a USB interface. The Sony UP-D895 is a feature packed printer to allow for the greatest flexibility in black and white prints. Combined with the Sony UPP-110HG High Gloss Printing Paper, the Sony UP-D895 will produce near photographic quality prints. This new A6 Digital Monochrome printer is ideal for the Ultrasound and Dental Markets. For high-quality video prints in seconds, the Sony UP-895MD Black and White Video Graphic Printer can produce glossy photo images. Features include a 1280-dot density, 256 shades of gray, as low as 3.9 second printing speed, and multiple print formats (normal, small, and 2x zoom). The Sony UP-895MD printer is compatible with both NTSC and PAL formats. The Sony UP-D55MD Digital A5 Printer successfully combines high quality with fast output to produce exceptional A5 color images in approximately 20 seconds. The printer's new compact design allows for easy integration into medical systems or connection to a laptop or PC in an office environment. The Sony UP-D55MD digital color video printer is the ideal choice for medical digital printing, for ultrasound, surgical or other industrial and scientiific applications. The Sony UP-890MD Black and White Video Graphic Printer is designed specifically for use with medical diagnostic equipment, such as ultrasound systems, to provide detailed black and white images in 4 seconds. This model prints in both standard and side modes. Additionaly, the Sony UP-890MD is an international model --accepting signals from both NTSC and PAL. The Sony UP-890MD also includes a worldwide power supply for 100V to 240V. The 19 inch NEC MultiSync LCD1990SXi delivers cutting-edge technologies and design features to the desktops of even the most discerning professional users. This advanced display boasts nearly 30 new features that make this model one of the most intelligent, versatile LCDs to date. We offer the WIDE IF2103A grayscale TFT display monitor. Depending on the application (or site requirements) futher Gamma Correction may be required. WIDE has accurate DICOM 3.14 compliant calibration devices. Unit maintains calibration constantly, although physical verification is periodically recommended. The WIDE IF2103 A-series 3 mega-pixel grayscale LCD's have back light sensors for monitoring and maintaining the back light brightness. Front DICOM Calibration is done through VeriLUM and a photometer which is included with the VeriLUM Package. The A series has a 2 year warranty on the LCD, back light and electronics; 3 years on the controller. For today’s digital mammography, anything less than filmless perfection is unacceptable. Mammography imaging requires unmatched accuracy and high contrast images that guarantee the correct display of each pixel. Images should be displayed with consistent, film-like precision and without visible noise or disturbances from the electronic pixel structure. And there is more. Productivity. High fidelity imaging should not cost more of your time. You should be able to scroll through one study after another, without waiting, without fatigue. Until recently, only CRT based softcopy screens could meet these high standards. Barco’s CORONIS® 5MP MAMMO is the first medical flat panel display system that meets the highest standards for digital mammography imaging. Barco CORONIS® 5MP MAMMO allows you to detect every single detail. Because for your patients, details make the difference. The MVGD 1318 is an 18” grayscale flat panel display with a native resolution of 1280 x 1024. It has been designed to replace end-of-life CRT displays used in x-ray modality systems. Its high brightness and excellent viewing angle guarantee optimum efficiency. User controls are available through an On-Screen Display. The MVGD 1318 allows easy wall- or ceiling mounting and features a built-in power supply with medical approval. BNC-connectivity enables single composite video cable connection. The Dell™ UltraSharp™ 2001FP is the newest model in Dell’s redesigned line of flat panel displays and incorporates many advanced features for great performance and ease of use. The Dell UltraSharp 200FP offers several new features, including: • Dell designed thin, 0.7-inch, bezel that saves desk space • Height-adjustable stand- (up to 5.1 inches) that allows users to set the monitor to their own comfort level • Four USB 2.0 ports – two on the side and two behind the display – These powered ports give users convenient access points to plug in devices such as keyboards, digital cameras, secondary hard drives and printers. • Panel movement – swivel (45° left/right) tilt, (25°back/5° forward) and 90° pivot to support portrait and landscape orientations. • Optional detachable sound bar that delivers 14 watts of total output • Quick-release detachable panel- for easy wall mounting •The 2001FP offers analog and digital PC inputs, as well as S-Video and Composite Video inputs for optimal video editing and viewing. In addition, the monitor features Picture-in-Picture for watching DVDs while using the PC. The 2001FP displays distortion-free images due to 16 millisecond response times and rich, powerful colors with 400:1 contrast ratios. Vertical and horizontal viewing angles of 88 degrees enable a clear view of the screen from virtually any location around the display – an advantage for multiple users sharing the same display. Dome C2 by Planar is a cost-effective, flexible 1200 x 1600 pixel grayscale flat panel that can display images in portrait or landscape mode. Designed specifically for these applications, the C2 has extremely high luminance and provides unequaled grayscale fidelity and image quality in a DICOM-calibrated monitor. This 19" panel mount industrial monitor is IP65-rated in front and has a picture-in-picture function so PC and video content can be viewed simultaneously. 16 inch color LCD monitor Designed to save space Superb image quality, 1280 x 1024 Digital and Analog inputs Wide viewing angles Color control When desktop space is at a premium, EIZO’s FlexScan L465 presents a compact, cost-effective and highly practical solution. Its 16" panel offers virtually the same viewing area and resolution display capabilities as the 17" CRT monitors currently used in many offices. But its slim, compact design occupies far less desktop space while also delivering the many performance advantages of today’s most advanced LCD technology. 18.1 inch TFT color LCD panel with 1280 x 1024 native resolution. Complete asset tracking, power and screen control from remote locations with Eizo’s Screen Administrator software. Sharp text and clean images with superior brightness (250cd/m²) and contrast ratio(400:1). VESA standard mounting provides adaptability to mount on an arm or wall. Screen Manager guides you through the display’s on screen image controls with incredible ease. IBM, Linux and MAC compatible. In the tradition of Eizo’s award-winning displays, the Eizo FlexScan L685 18.1” thin bezel design flat panel is sure to be another award winner! Its attractive thin bezel design and portrait/landscape versatility make it as beautiful on the outside as quality of the compontents and design inside. Supporting Eizo’s new Screen Administator software, the Eizo L685 can be controled via LAN connection allowing power up/down, screen adjustments, security and asset tracking. Perfect multi-panel corporate evironments, take a look at the Eizo L685 and see the future today. 19.6 inch TFT panel with 1600 x 1200 native resolution. Arm/wall mounting capability. Image scaling and smoothing. ColorManagement function for improved color control. USB hub with one upstream and four downstream ports. Cabinet color available in gray or black. The Eizo FlexScan L771 provides the screen size, high resolutions, and color output control of 21" CRT monitors without the bulk or power requirements. The Eizo FlexScan L771 is the first flat panel display to offer the screen size and high resolution capability of 21" CRT monitors while giving users precise control over color parameters. Not only is this product ideal for traditional LCD monitor domains such as dealing rooms and stock bourses, but its specifications and overall performance give DTP and CAD professionals a long awaited flat panel alternative. 3 MP 21.3" Color LCD Monitor Monochrome and Color Images on One Monitor 10-bit Color Input Support DUE for Brightness Uniformity Dual Link Input Support Calibration Mode Selection The Eizo RadiForce RX320 high brightness 3MP color monitor is ideal for accurate display of chest X-ray, CR, and DR grayscale images and color images such as 3D color rendering and image fusion. With high brightness of 900 cd/m² and contrast ratio of 1000:1, the RX320 meets the increasing need of hospitals for a monitor that can display both grayscale and color images for diagnostic imaging. Each color (RGB) is supported with a 10-bit input compatibility that displays up-to 1,064,330,000 colors, providing highly-crisp resolution for 3D color rendering and image fusion. The Digital Uniformity Equalizer (DUE) function provides optimum backlight luminance uniformity which is considered difficult to attain due to the characteristics of LCD monitors. The 1525L was designed from a blank sheet of paper to address the key needs of touch applications, resulting in a product that can truly be called "designed for touch." It has a unique combination of flexibility, reliability, performance, ease-of-use and installation, all with a distinctive visual appeal. Available with AccuTouch Five-Wire Resistive Technology, CarrollTouch Infrared Technology, IntelliTouch Surface Wave Technology, or Surface Capacitive. Available with AccuTouch Five-Wire Resistive Technology, CarrollTouch Infrared Technology, IntelliTouch Surface Wave Technology, or Surface Capacitive. The ET1526L was designed from a blank sheet of paper to address the key needs of touch applications, resulting in a product that can truly be called "designed for touch." It has a unique combination of flexibility, reliability, performance, ease-of-use and installation, all with a distinctive visual appeal. This Elo ET1527L 15-inch Touch Screen LCD Monitor combines touch technology with the latest advances in LCD display design! Features include a 15.0-inch XGA TFT diagonal screen size, 1024 x 768 resolution and 450:1 typical contrast ratio! The Elo ET1527L has built in speakers for superior sound and Multi-lingual OSD menus in four languages including English, French, German, Spanish, and Japanese! The Elo 1528L 15" LCD medical desktop touchmonitor is an integrated solution for medical equipment OEMs and healthcare system integrators seeking a reliable, durable and cost-effective touchmonitor. Typical applications include patient self-service, nurse station and medical OEMs. This monitor can be safely placed in patient care areas, such as the operating room, where contamination may occur. The Elo ET1725L is a smart choice for many types of applications. The device features a 17" LCD screen which is plenty for your touchscreen needs. The Elo ET1925L is one of the Elos monitors that feature IntelliTouch Surface Wave Technology which provides smooth touch navigation while using the monitor for any of your needs. Elotouch 19" Color offers best in class optical performance mated to the leading touch technologies–IntelliTouch surface acoustical wave and AccuTouch five-wire resistive–along with a combination touch controller, DVI, VGA and built-in speakers. The fully featured ELO TouchSystems 1928L touchmonitor offers best in class optical performance mated to the leading touch technologies–IntelliTouch surface acoustical wave and AccuTouch five-wire resistive–along with a combination touch controller, DVI, VGA and built-in speakers. The product can be ordered in beige or gray color, touch and non-touch enabled versions. The ELO TouchSystems 1928L carries worldwide certifications and includes an innovative IPX1 enclosure design which ensures that the entire touchmonitor sheds water and is safe from liquid drops and spills. As a result the 1928L is an excellent fit for any application benefiting from DVI-D input, speakers and best in class image performance. The MSD201H greyscale monitor is part of a product line specifically designed for medical applications. The wide number of features availabe makes this product the ideal solution for Medical Imaging, Surgery and Radio Fluoroscopy, CT, MRI and for field replacement. The MSD201H is a 17 inch medical grade, CRT greyscale display monitor. Incredibly High Contrast Fully Microprocessor Controlled Intelligent Ambient Light Compensation Precise Black Level Stabilization Easy and Accurate Calibration with inexpensive Light Probe Anti Reflection Screen The MGD 403 grayscale monitor is part of a product line specifically designed for medical applications. The wide number of functions available make this product the ideal solution for PACS/RIS as well as Digital X-ray applications. The MGD403 is a 21 inch medical grade, very high brightness greyscale display monitor featuring CyberScreen® Technology. Wide Viewing Angle (S-IPS or PVA LCD panel) Luminace & Contrast stability vs the viewing angle Contrast stability vs the viewing angle SOG support Full range power supply Power management capability The Fimi Q19 is part of a new LCD-display product line specifically designed for medical applications. It is a 19 inch multi-scan color monitor with native resolution 1280 x 1024 @ 75Hz non-interlaced video even if can manage higher resolutions by scaling original image. The Q19 is the ideal solution for Data display and General Medical Imaging Review, thanks to its wide viewing angle LCD panel. Iiyama 17NE-1S; 17" Digital TFT-colour-LCD Monitor, 1280X1024 Resolution, 350:1 Contrast Ratio; Display area h x w 337,9 x 270,3 mm; Brightness (nominal) 370 cd / sqm; Response time 14 msec (rise: 4 ms, fall: 10 ms); Viewing zone Horizontal 160°, vertical 120°; right / left 80°, up / down 60°; Display colors 16,2 Mill. Mio. ; Pixel pitch h x v 0,264 x 0,264 mm; Horizontal sync 22 – 82 KHz; Vertical sync 56 - 76 Hz; Bandwith 135 MHz. The PM-179 (17-inch) are black and white monitors for video monitoring that faithfully reproduce images captured by a surveillance camera. Pictures recorded on a VTR can also be displayed clearly and crisply. The PM-K17(17-inch) is high quality and high performance monochrome picture monitors designed for video applications that require faithful video reproduction. A6 Digital Monochrome Thermal Printer High-density 260 dpi thermal head Worldwide compatibility Printable user setting Compact enclosure size User friendly controls conviently located on front panel 2 Media Choices - K65HM, K61B or K61S The Mitsubishi P-91W is a monochrome thermal printer that combines high resolution,design simplicity, and multi-format, multi-image printing capability, all in a compact enclosure. The Mitsubishi P-91W is ideally suited for delivering hardcopy in all types of industrial and medical applications. The Mitsubishi MD-3000U medical videocassette recorder incorporates advanced digital technologies for superior image quality in real time, and exceptional ease of operation. The S-VHS ET function ensures 400 lines of razor-sharp resolution on a standard VHS videocassette tape. The Mitsubishi MD-3000U is designed specifically for image-critical medical applications and delivers digitally enhanced high quality recordings. It incorporates a wide range of advanced features such as jog/shuttle dial for easy programming; built-in digital TBC (time base corrector) which eliminates jitter, skew and color blurring during playback; 3-D digital noise reduction (DNR); 3-D digital Y/C seperation; digital frame memory (field/frame selectable); and a rotary erase head which ensures a cleaner start after recording pause. A RS-232C/USB board and 34-pin parallel interface board are also available as options. 18" NEC MultiSync LCD1880SX, a flat-panel monitor that boasts a multitude of leading-edge capabilities. This model's ultra-thin-frame design, along with its advanced functionality and productivity-enhancing technologies, could easily make it the most intelligent visual display solution to date. Ultra-thin-frame design creates more space Crystal-clear 1600 x 1200 native resolution NaViSet™ interactive display settings control CableComp™ ensures sharp image reproduction Ambix+ ™ technology provides three video inputs See more with XtraView+™ wide-angle viewing Black level adjustment controls grayscale images Also available in black cabinet (LCD2080UX+ BK) Intelligent design and technology unite to revolutionize your visual experience with the ground-breaking 20 inch NEC MultiSync LCD2080UX+ flat-panel monitor. NaViSet™ software offers a graphical user interface to adjust display settings via mouse and keyboard, AutoBright™ adjusts the brightness level based on the image content on the screen, and auto DVI cable detection, upon power-up of your computer system, allows it to identify which signal cable (analog or digital) is attached to the monitor's DVI-I connector. Other features include an ultra-thin-frame design that is 70% thinner than previous LCD models, XtraView+™ wide-angle viewing, crystal-clear 1600 x 1200 resolution and lightning-fast response time. Screen/Viewable Size: 20.1”/20.1”, Native Resolution: 1600 x 1200, Brightness (typical): 250 cd/m², Contrast Ratio (typical): 400:1, Total Response Time: 16ms, Weight (with stand): 23.1 lbs. The NEC MultiSync LCD2080UXi-BK LCD Monitor comes in Black & White Cabinet. Ultra-thin-frame design creates more space Crystal-clear 1600 x 1200 native resolution NaViSet™ interactive display settings control CableComp™ ensures sharp image reproduction Ambix+ ™ technology provides three video inputs See more with XtraView+™ wide-angle viewing Black level adjustment controls grayscale images Intelligent design and technology unite to take your visual experience to the next level of performance with the groundbreaking 20 inch NEC MultiSync LCD2080UXi flat-panel monitor. NaViSet™ software offers a graphical user interface to adjust display settings via mouse and keyboard, AutoBright™ adjusts the brightness level based on the image content on the screen, and auto DVI cable detection, upon power-up of your computer system, allows it to identify which signal cable (analog or digital) is attached to the monitor’s DVI-I connector. Other features include 700:1 contrast ratio, XtraView+™ wide-angle viewing, crystal-clear 1600 x 1200 resolution and lightning-fast response time. Rapid Response™ delivers uninterrupted video TileMatrix™ video walls up to 5x5 Self-diagnostic capabilities detect possible failures New backlight system for better brightness Real-time clock for content scheduling 1366 x 768 ultra-high resolution Brightness control reduces energy consumption Equip your digital display applications with the next generation technology of the 32" (31.5" VIS) NEC MultiSync LCD3210-BK. This high-performance large-screen LCD’s Digital Signage Technology Suite (DSTS) boasts many advanced features to improve screen performance, lower total cost of ownership and enhance display management. A new backlight system leads to better brightness uniformity, while the 1366 x 768 ultra-high resolution delivers a true 16:9 aspect ratio. A real-time clock makes content scheduling a snap, and monitor sleep/wake management improves energy savings and lengthens display life. The DSTS truly sets the LCD3210-BK apart, bringing tomorrow’s technology to today’s large-screen applications. Digital circuitry for Y/C seperation 11-bit digital servo Jog/shuttle for fast, precise searching 4 independent audio channels: 2 linear with Dolby NR, 2 Hi-Fi 19 inch rack-mountable with optional adaptors The Panasonic AG-7350P is designed to meet for high quality video and audio recording/playback in the field of medicine. The Panasonic AG-7350P is a S-VHS Hi-Fi Video Cassette Recorder. The Panasonic AG-7350P features also include remote control capability - 34-pin parallel or optional RS-232C serial, optional time code recording/playback capability on audio CH 2 with optional RS-232C serial interface board, S-VHS and 58-micron wide laminated amorphous video heads, Chroma Aperture Correction (CAC) and an advanced comb filter for fast, precise searching. 15 inch XGA Medical Monitor 640x480 to 1024x768 Resolution VGA compatible analog RGB / composite sync video interface The architecture of the VitalScreen™ S display incorporates an active-matrix LCD panel that produces a clear display with low radiation emission. This technology greatly reduces the radiation-related health concerns associated with CRT monitors. More significant, the VitalScreen S display is medically certified under UL 2601 and IEC 60601. These qualifications make the display safer for the patient and protect the hospital from liability The VitalScreen S display is versatile, ergonomic, and user-friendly. It supports Plug and Play and displays most standards from 640 x 480 VGA to 1024 x 768 XGA. The digital controls located on the front panel allow you to easily adjust the display parameters using onscreen menus. When incorporated into a complete workstation, the display can be wall-mounted for added convenience. 2 megapixel 20.1 inch monochrome LCD, High Contrast 1000:1 Built-in 10bit LUT (Look-up Table) to reproduce beautiful grayscale Dual Interface Digital Input (DVI) and Analog Input (D-sub) Calibration capability for DICOM part 14 compliant grayscale presentation Worldwide medical safety standards The Totoku ME201L is a high definition LCD suited for displaying CT and MRI images and a wide range of modality applications, as well as offering excellent cost performance. 1.3 megapixel 18.1 inch monochrome LCD Dual interfaces Built-in 10bit LUT (Lookup Table) to reproduce beautiful grayscale Calibration capability for DICOM part 14 compliant grayscale presentation Worldwide medical safety standards The Totoku ME181L monochrome LCD is a Dual analog/digital interface model best suited for imaging modalities such as CT and MR. The built-in calibration function enables DICOM GSDF compliant grayscale presentation. The 20" VP201b LARGE-SCREEN THINEDGE ULTRA-SLIM BEZEL LCD display. With astounding 176º ultra-wide viewing angles, UXGA 1.92 megapixel resolution, ClearMotiv™ broadcast-quality video technology and native HDTV high-scan 720p compatibility, the VP201b boosts professional productivity and heightens user enjoyment for video editors, financial traders, CAD/CAM engineers and power gamers. Ideal for multiple-panel configurations with height/pivot adjustments, digital/analog inputs and USB 2.0 high-speed connectivity, the VP201b is the infinitely versatile professional desktop display of choice. Ultrafine 700+ line continuous tone resolution 300 dpi with 16 million color variations 30 second print time Four frame memory built-in External control via RS-232C interface Multiple print modes Optional SCSI interface available for digital printing 3 Media Choices - UPC-5510, UPC-5510C print pack and UPC-5510RM/T ribbon The Sony UP-5600MD Color Video Printer is remarkable for its ability to produce extremely high resolution prints at 300 dots per inch, and its very fast 30 second print time. With the optional SCSI interface, the Sony UP-5600MD can produce high quality prints from digital sources. All this, combined with four frames of memory standard (upgradeable to a total of 8 frames), the Sony UP-5600MD is ideal for image creation in such applications as ultrasound, endoscopy and radiological imaging, as well as for any other system that outputs video signals. Single, Dual or Quad-Head Coronis® 3 Megapixel Display System Equipped with the I-GUARD® sensor for stability and intervention-free calibration, true 10-bit resolution for 1024 simultaneous shades of grey and an ergonomic housing, CORONIS® Barco 3MP set new standards for medical imaging. CORONIS® 3MP features 20.8" grayscale flat panels with a resolution of 2048 x 1536 and the Barco display protective glass cover for perfect image rendering. CORONIS 3MP is fitted with a solid tilt & swivel base, allowing users to adjust the panel's position to their preferred viewing angle or easily switch between landscape and portrait mode. The CORONIS® Portrait Accelerator assures full performance in portrait mode. The OEV-203 Monitors are designed exclusively for video endoscopy and are ideal components for use with all Olympus endoscopy systems. When used in conjunction with our innovative endoscopic equipment, the OEV-203 provides sharp, high-resolution images with excellent color reproduction to provide you with the view - and details - necessary for accurate diagnosis. They provide great image flexibility thanks to a variety of adjustable features - controlled via conveniently located front panel knobs - and are easy to operate due to a simplified on-screen menu. 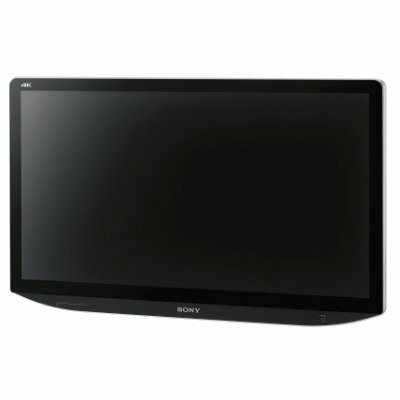 The Sony LMD-X310MT 31-inch medical-grade widescreen LCD monitor can display very high-quality 4K Ultra HD color video images in 3D and 2D from endoscopic/laparoscopic cameras, surgical microscopes and other compatible medical imaging systems. Offering four times the pixel count of Full HD, it provides a clearer view of fine details than conventional medical monitors and features an ergonomic design that is optimized for environments such as hospital operating rooms, surgical centers, clinics and doctors' offices.